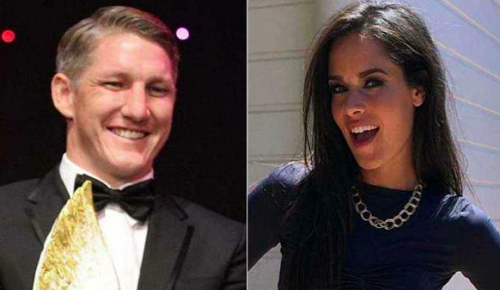 Bastian Schweinsteiger and Ana Ivanovic shared the first picture of their newborn child, Luka. Multiple reports claimed that the couple welcomed a baby boy over the weekend. However, Ivanovic and Schweinsteiger only confirmed the news late Sunday on social media. Following months of speculations, Schweinsteiger and Ivanovic announced they are expecting their first child in November 2017. The duo has been in a relationship since 2014 but tied the knot in Venice in July 2016.
anaivanovicWelcome to the world our little boy ????. Words can not describe the joy and the happiness we feel in our hearts! @bastianschweinsteiger ???? suncicazoranAna ,nisam nikada pisao nikome komentar ali za tebe mi ja bas drago tako da vam želimo svu sreću sveta???????????? barbara_burstallCongratulations to the three of you ???? vesna_pistotnikCestitke I sve najbolje ???????? drsnagarCongratulations!!! Lots of Love and Blessings to the Angel ???????????????????????????? Welcome to the world our little boy ????. Words can not describe the joy and the happiness we feel in our hearts! @bastianschweinsteiger ??? ?